Throughout the United States, over 1 million school children have reported being the victim of crime at school. Theft, violence, or other bullying are the most prevalent issues that are being reported. During the last year, approximately 10% of male high school students have reported being threatened and even injured by a weapon when on school property. 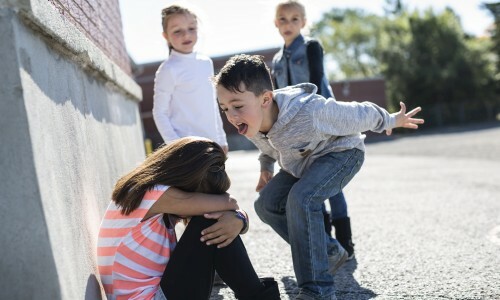 Studies have shown that school surveillance systems are an effective means to help combat bullying, and in some instances can reduce incidents of bullying by over 70%. Most kids are reluctant to tell staff or their parents about incidents of bullying, due to how difficult it is for them to prove it. Yet with CCTV it becomes easy to prove, easy to solve, and gives school administrators an extra way of protecting their students. Despite these facts, a staggering 25% of primary schools, and 10% of middle and high schools are lacking the necessary CCTV cameras on site. Which leaves the most vulnerable children to become victims of bullies, time and time again. One of the most effective to ways to lower your crime rate and number of break-ins is to have visible CCTV cameras throughout your campus. Because when criminals think there is even the slightest possibility of being caught, they’re considerably less likely to commit the crime. As an alternative to ending up with their face all over the news, criminals will move on, as for a petty break-in or a smash and grab, it’s not worth having the chance of their face captured on CCTV. Vandals will also avoid “tagging” or breaking property if they see a camera on the grounds. Keeping them visible in both interior and exterior spaces will always give you the evidence you need to catch perpetrators in the event that something does happen. You’ll also be able to keep your parking lots and cars safe as CCTV cameras that can capture high-quality footage will allow you to identify the exact cars that are damaged. With high resolution color CCTV cameras in your school, you can even make out individuals faces who are breaking into vehicles. Being able to assist the police in their investigation will make your staff and students feel safe and secure, while also making you known as a campus that is not an easy target for criminals. 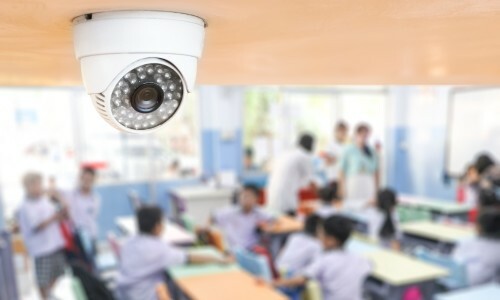 When you have CCTV installed in your school, you can prevent serious incidents before they even occur. The safety of your students and staff can be your number one priority when you have CCTV installed. With the latest systems, you are able to monitor the cameras from any type of networked or mobile device. Whether it’s younger students who wander off campus, or older students who may be breaking rules, when you have CCTV installed you can ensure that there is a lack of rule violations and impeccable student safety. You can also use CCTV for schools to ensure that your staff are reliable and trustworthy. For example, if staff is taking unapproved breaks or leaving students unattended , you can approach them before it becomes a recurring problem. Are you looking to improve safety on your campus? Contact us for more information on finding the best system for your school.